Unlike during other government shutdowns, during the 2019 funding crisis our local parks have remained open to the public. As the staff, deemed non-essential, have been furloughed, it has been more than challenging for their limited staff to manage all the trail maintenance needed. While the parks are open to the public and accessible, the usual services are not actively running. Right now you won’t find services at places like Lake Mead National Recreation Area or the Tule Springs Fossil Beds National Monument. There is no one collecting trash, picking up dog feces, or litter left behind on what are usually pristine trails. Since the official agreement on a budget is still pending, the only thing anyone knows for certain is that it is up to everyone that uses these facilities to care for them. The whole community is responsible for ensuring they remain clean and tidy. 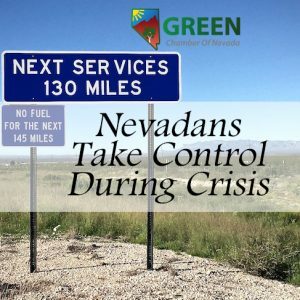 People all across Nevada are helping to ensure that our local parks and lands are being maintained. You can find any number of events through Facebook or Meetup or get a few friends together and instead of climbing the trail, clean it. Websites like Get Outdoors Nevada have great events where you can get involved, too. In fact, everywhere you look there seems to be a group of people getting together to pitch in. If you want to find a group for you, give us a call, we can help connect you. Together, we can all ensure a crisis doesn’t happen to lands and trails.